Bear Attack - Steiff 2019 New Line! 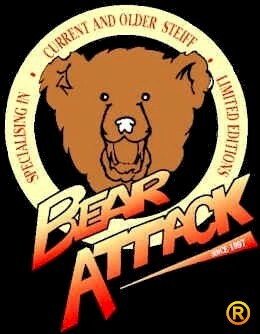 You can reserve Steiff items at Bear Attack by just sending an e-mail, listing the items you want to reserve. Bear Attack will reply to your reservation request within 1-2 days, confirming or denying your request when the item is already sold out at Bear Attack. From new customers a down payment of 20% of the total order will be asked or a minimum of $ 40,00 for each reservation. New Line Festival Specials will be announced 1st July 2019.